24 When she reached the end of her pregnancy, she discovered that she had twins.25 The first came out red all over, clothed with hair, and she named him Esau.26 Immediately afterward, his brother came out gripping Esau’s heel, and she named him Jacob. Isaac was 60 years old when they were born. 33 Jacob said, “Give me your word today.” And he did. He sold his birthright to Jacob.34 So Jacob gave Esau bread and lentil stew. He ate, drank, got up, and left, showing just how little he thought of his birthright. One of the biggest reoccurring themes in human culture is the idea of fate: can we change our fate? Is our fate decided, and do we have any say in it? Much classical literature deals with the concept of fate: Jane Eyre and Oliver Twist deals with how the circumstances of birth don’t necessarily determine the path of your life. On the other end of the spectrum, we see stories like The Great Gatsby and Breakfast at Tiffany’s, showing the chilling results of people who try and change their fate without responsibly facing the consequences of their actions. Perhaps the best modern example of humanity wrestling with the concept of fate is Pixar film Brave. 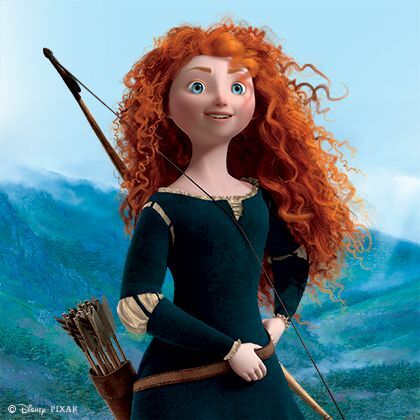 The film centers around a Scottish princess named Merida who doesn’t really fit the “princess” mold. She’s a free spirit, a talented archer and horseback rider who is more comfortable in the forest than in the throne room. This naturally runs against the wishes of her more traditionally minded mother, who wants her to be more tame and restrained, accepting tradition and not fighting it. 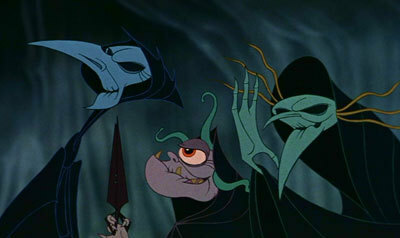 As Merida comes of age, the rival clans are all invited to a contest for Merida’s hand in marriage. Merida, in an act of rebellion, decides to enter the contest for herself and compete for her own hand, and thus, her own fate. Essentially, she wants to control her destiny. She wins the contest, and in a rage after her mother scolds her for breaking tradition, she rides off into the forest. Following a trail of willo’ wisps, she finds the house of a witch who gives her a cake that can “change her fate.” Excited, she goes back home, and gives the cake to her mom, looking forward to seeing how this cake can change her fate. Well, it certainly does; the cake changes her mom into a bear! Eventually, it all gets worked out, and she even gets to be able to choose who she marries in her own time (I don’t want to spoil the rest of the details for those who haven’t seen it) but what we can take away from this movie mainly this: Yes, you can change your fate, as long as you are ready to face the consequences of your actions. Really, it all comes down to the third law of motion: For every action, there is an equal and opposite reaction. Sometimes that reaction is unexpected. Sometimes it’s uncontrollable. No matter what, though, the law stays the same. Such as it is with fate. I talked a great deal about the concept of predestination and free will last week in talking about Isaac and Rebekah’s marriage, but I focused on the ideas of coincidence and providence, that though we make choices, God can work within the choices we make to bring about God’s will. Instead of a Romantic Comedy, this passage is more of a dysfunctional family sit-com, focused on the vagaries of prophecy and tradition. This time, I’ll be talking about the two brothers, Isaac and Esau, and all the wonderfully dysfunctional family dynamics between them. To begin, though, we focus on the now happily married Rebekah and Isaac. First off, there’s a time-skip that you probably didn’t notice from the last passage. When Isaac was 40, he got married to Rebekah. By the time the twins are born, he’s 60 years old. There’s a 20 year gap there. And when we focus in on them, what else are we met with that keeps being repeated? “Isaac prayed to the Lord for his wife, since she was unable to have children.” Rebekah, like Sarah, is barren, and for 20 years she’s been unable to have kids. That’s 20 years of heartache, of disappointment, of hoping against hope for something you dearly want. This motif of God providing children to those who can’t bear them is all throughout the scripture, and signifies a very important aspect of God: God is faithful to those who believe, and God can make even that which seems hopeless happen. Usually it doesn’t happen on our time-tables, but that’s beside the point. God is faithful. When the boys are conceived and in Rebekah’s womb, we begin to see that old moral creeping back into the story: be careful of what you ask for, and be prepared for the consequences of a changed fate. The babies, the ones she prayed for and God delivered, started fighting each other. IN THE WOMB. Ladies… You know how troublesome that can be, if you have gone through pregnancy. Well, it was so bad, Rebekah asked God this somewhat hard to translate question. The CEB says “If this is what it’s like, why did it happen to me?” Another way of translating it is, “If this is what it’s like, why do I live?” Or, “This may be what I asked for, but why do I feel like I want to die?” God’s response doesn’t really reassure her, though, but rather just explains how things are going to be. Your boys will be leaders of great nations that will be CONSTANTLY AT WAR WITH EACH OTHER. (yay?) Ironically, the older one will lose, or so goes the oracle. I say ironically because that’s not usually how things work when it comes to inheriting things in families. Usually, it’s the older son who gets the good treatment, not the younger, and the older/stronger usually prevails. This is really where a major story arc of the bible comes in, and it all goes back to the question of fate. One of the biggest themes in the bible is the weak overcoming the strong, contrary to common sense. God does this all the time, turning table upside down, and it really starts with Jacob. At their birth, Esau is born, all big and hairy and red, and as he is born, a hand pops out that’s holding Esau’s foot. Jacob comes right out, not willing to let go of anything, not giving up the fight started in the womb. The name Jacob, like most biblical names, is a pun, meaning “heel-grabber”, which is an idiom in Hebrew that means “He who takes someone else’s place.” Funny how this heel grabber will be the focus of the rest of Genesis. Fated to be the younger and the weaker brother, we’ll see that he becomes a trickster and a thief in order to fulfill his prophecy. 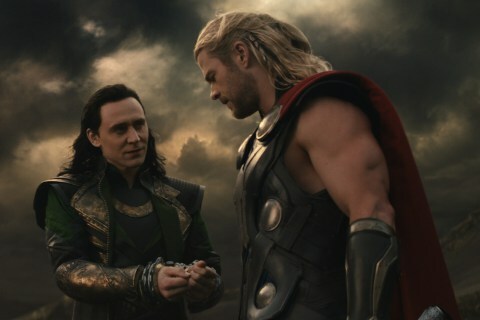 I couldn’t find a good icon for Jacob and Esau, so Loki and Thor will have to do. It’s not that much of a stretch really. The story jumps to the teenage years, and Jacob fulfills his namesake as a heel-grabber. By tricking a starving older brother into giving him his birthright—an inheritance meaning all of the property his father is going to give him—we see the war between the two brothers becoming real. The younger takes what the older is too foolish to understand, and the older doesn’t appreciate what he had until it’s gone. Thus, fate is turned around. The first major upset of fate is performed in the bible and sets a precedent for how God will work in the future. Because of the example of Jacob, God will often work with the weak to overthrow the strong. The slaves will win back their freedom. The 7th son of a shepherd will become king. Young prophets will lead the nation. Eventually, a boy born in a feeding trough will be the messiah for all of creation. Time and time again, fate is upturned, changed, through the power of faith in God. Don’t think I’m giving Jacob a pass here; we’ll see how devious he truly is in the future, but for now, let’s focus on how God can change our perceived fate, because that’s really what this story is about. God heard Isaac and Rebekah’s cry for a child, a changed fate, and God granted it. But with every change of fate, there are consequences. This one entails warring children, one a brute and the other a brainy trickster. The younger gets the future, not the older. Everything is the opposite of what is expected, and that’s really how God likes it. This is good news for us. It proves that God truly cares for those on the bottom, for the downtrodden, the weak, the powerless. God helps them when they cry out, and God hears them in their despair. God raises them up and delivers them to peace and hope. Now then, the bad news depends on you: are you a Jacob or an Esau? Are you one who doesn’t know the privileges you have? Or are you one who is willing to fight for the privileges you—or others—don’t have? Are you aware of all the things that you didn’t earn, and are you aware of the things that others don’t have? Are you aware of your opportunities, and the lack of opportunities of others? Are you shackled by debt, or do you shackle others in debt? Are you on the bottom, or the top? Ponder these questions, because this is really heart of our faith. Faith means we believe in God when we are on the bottom, and aware of God’s power when we are on top. Go home and do some research on the idea of privilege, and see where you are in the grand scheme of things. Understand your blessedness, and then go one step further: be a blessing to others. That is where it all leads to. We are blessed so we might bless others, not be a burden or an obstacle. For you who are on bottom, though, have hope. God can and will change your fate, if you ask for it, and if you are willing to face the consequences. None of this is easy, or painless. God can change your fate, and give you a new future, better brighter than you can imagine. 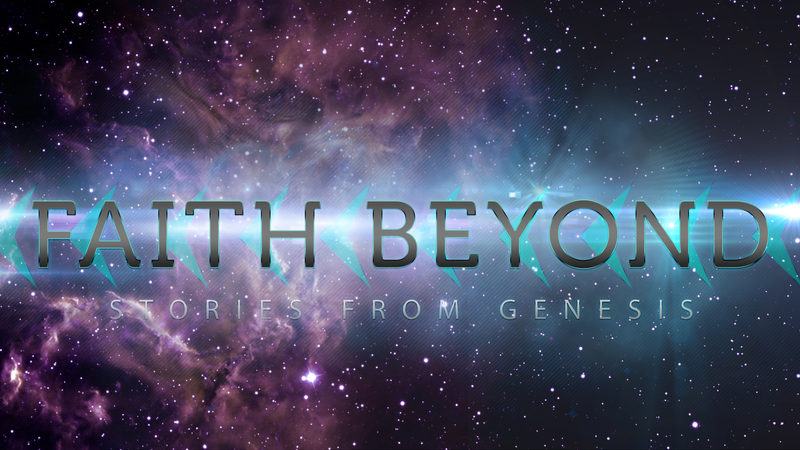 If we have faith that goes beyond our perceived fate, we can come out blessed so that we can bless the world. In the name of the Father, Son, and Holy Spirit, Amen. This entry was posted in Uncategorized and tagged Brave, Esau, faith, Fate, Jacob, Loki, Merida, Religion, Thor. Bookmark the permalink.